Jesus said to the people, “If a shepherd has one hundred sheep and one of them is lost, he will certainly abandon the ninety nine sheep and go to search for the one lost sheep. It is likewise with the kingdom of God. The Father is also not willing that any of His children should be lost and go astray to the world. God wants everyone to go to heaven. The sheep that does not enter by the sheep pen’s door is a thief. The thief enters the ship pen by climbing over its gate. Whoever that enters by the sheep pen’s door is my sheep. 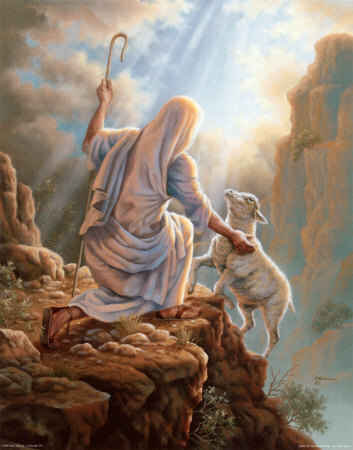 When the good shepherd calls the name of his sheep, his sheep recognize its shepherd’s voice and responds to him. When the shepherds bring out his sheep, and walk in front of them to lead them, the sheep will follow the shepherd because they know him. The sheep will never follow a stranger because he does not recognize the voice of the strangers. I am the sheep pen’s door and all my sheep that goes through Me will be saved. If anyone enters through me, he will find a lot of green pasture to eat so that he will never be hungry. The thief does not go through Me. The thief comes only to steal, kill and destroy. I have come to give life to the world. I am a good shepherd that will look after my sheep. A shepherd that is being hired and paid for will run to save his own life if he saw wolves coming to attack the sheep flock. I am the good shepherd. I know my sheep name by name. My sheep also knows me too. I will lay down my life to save my sheep.